I have just returned from a visit to my landlord—the solitary neighbor that I shall be troubled with. This is certainly a beautiful country! In all England, I do not believe that I could have fixed on a situation so completely removed from the stir of society. 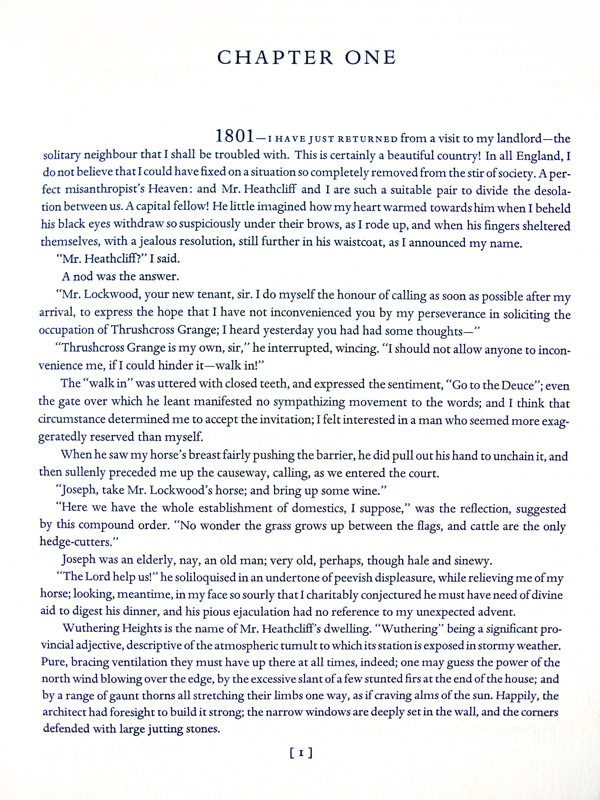 A perfect misanthropist’s heaven; and Mr. Heathcliff and I are such a suitable pair to divide the desolation between us. A capital fellow! 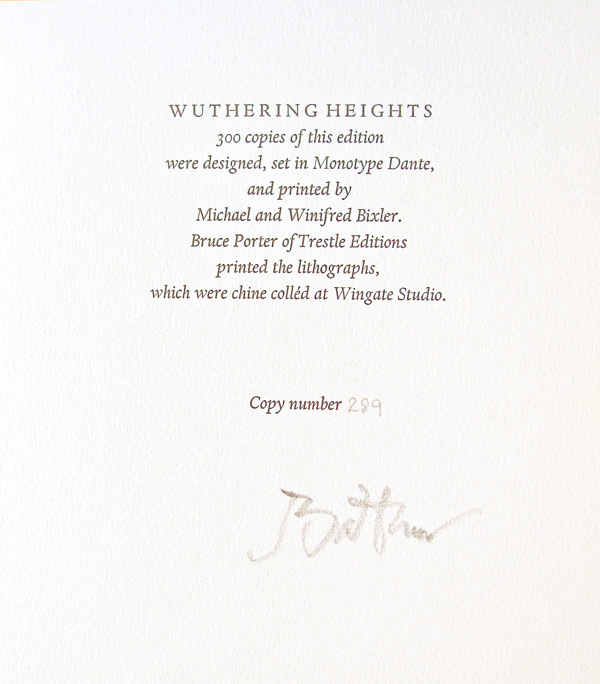 So begins one of the great novels of all time, Wuthering Heights. What could they have had in common‑-Count Balthazar Klossowski de Rola, the Paris‑born modern artist (better known as Balthus) who has filled scores of canvases with paintings of female nudes, and Mistress Emily Brontë, the mid‑nineteenth- century British spinster who seems never to have left the Yorkshire moors? Precisely, those moors. 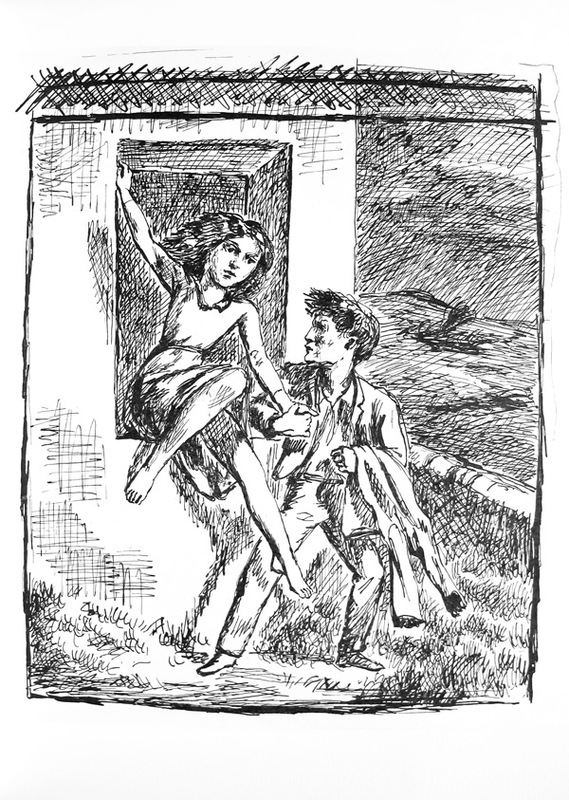 In his youth, the Count visited that wild landscape and, in 1933, made a series of drawings based on her gripping novel. 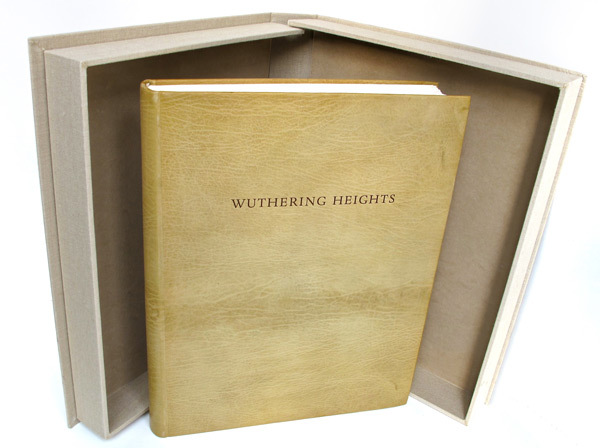 Some say that he saw himself as Heathcliff. 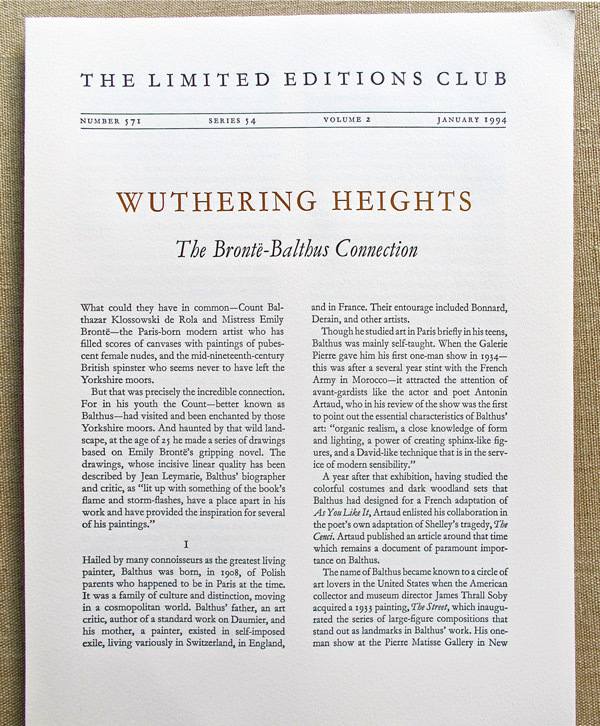 Sixty-one years later, and after creating a vast array of famous paintings, many reminiscent of those drawings, Balthus agreed in 1994 to have The Limited Editions Club present, for the first time in their destined context, the entire suite of fifteen drawings. 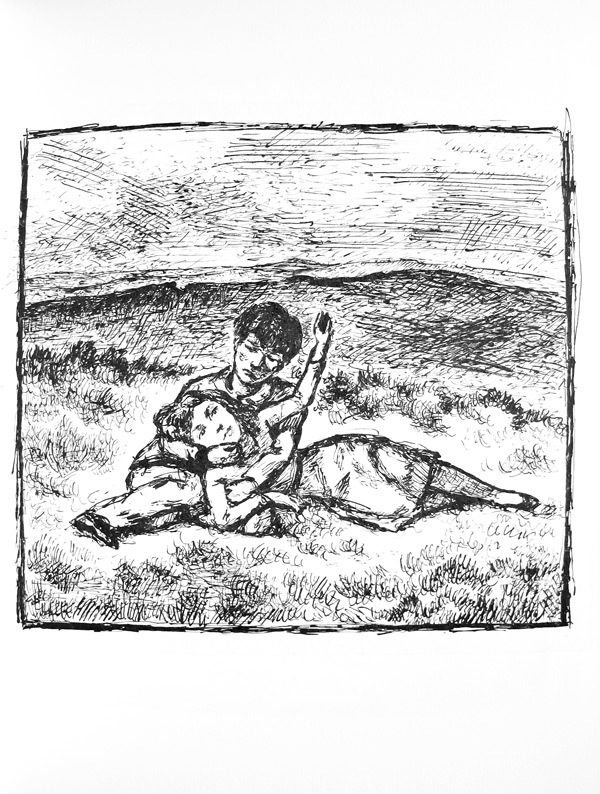 Happy to behold their fruition, Balthus wrote an Afterword for the book. 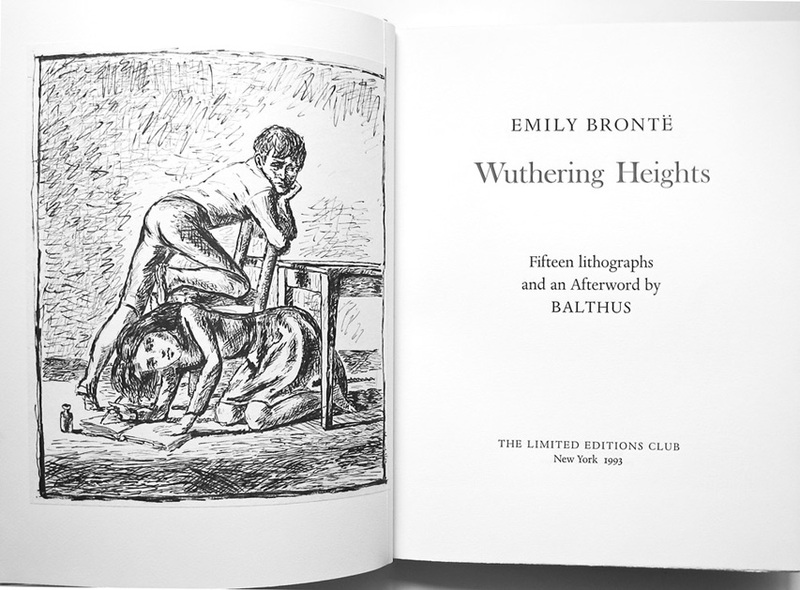 Each book signed by Balthus.